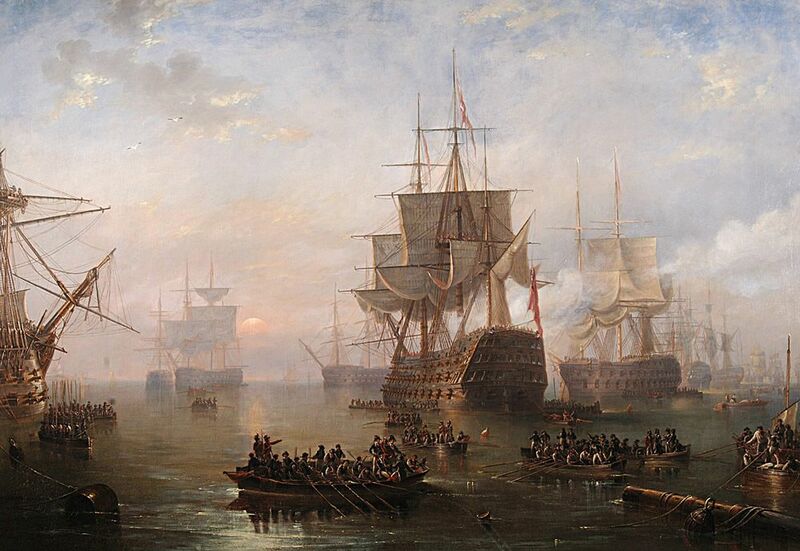 Oil painting of HMS Victory anchored off the Isle of Wight, 4th December 1806, with the body of Lord Nelson on board. Many boats with sailors in the foreground. Other ships of the fleet are in the background. This HMS Victory Anchored off the Isle of Wight Art Print is created using state of the art, industry leading Digital printers. The result - a stunning reproduction at an affordable price.